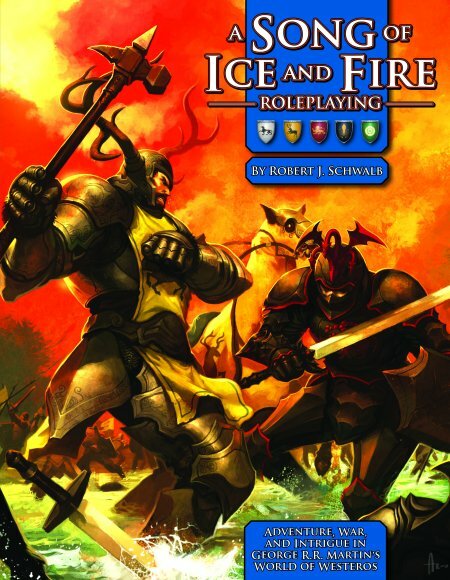 My winter vacation is coming to an end, and next to spending some more time with my girlfriend and playing video games, I’m also using my loads of free time to read through new tabletop role-playing games. Next to Fiasco (which I praised a few days ago), another title has caught my attention due to the amount of discussion about it in the blogosphere: Dungeon World. If you have been so unfortunate to have not heard of this game, Dungeon World takes the well-known dungeoncrawling genre, and adds a layer of storytelling and narrative gameplay. The GM plays a rather small role in the entire campaign, being there to pose challenges to the party and to interpret their rolls. The GM himself never rolls a die (except for damage) and is only there to guide and navigate the story. This basic premise intrigued me, and now that I’m done reading the rulebook, I am more than intrigued. I am fascinated. You see, Dungeon World puts emphasis on the conversation between players and the GM. It’s an old concept, one that every one of us has used at the table: the GM describes a scene, sets the mood with the right words and when everyone has an idea of what’s going on, the classic question “What do you do?” is posed. It’s nothing special, but Dungeon World puts this whole conversation into the spotlights. It makes the whole back-and-forth between descriptions given by the players and the GM the essence of the game, instead of focusing on dozens of little rules that might disturb the flow of gameplay. Just keep on telling an epic story in a fascinating world full of adventures, and worry about the rules later! Talking about a fascinating world, Dungeon World does not expect you to come up with a fleshed-out campaign setting before starting your first game. Instead, it expects you to start your first sessions with almost no preparation whatsoever, and to just use what the players throw at you. This premise is awesome: right after character creation (which also focuses on “bonds” and relationships between the party members, so that no mysterious guy has to recruit them in a pub) the players and their heroes dive into some cool scenario and fight their way out. Use what’s on their sheet, instead of what’s behind your screen. In a way, Dungeon World is the game for the lazy GM: just go with what your players want, as long as you keep the action flowing! It makes me happy to see game that takes the old and somewhat boring dungeoncrawler concept, and makes it so enchanting by adding this layer of storytelling. Really, you should visit the author’s homepage or head right to your digital friendly gaming store to buy it, and see what little gem they created. I will probably prod my group into playing this soon, and you will hear about it here. Have fun plundering dragon hoards!